We have provided predefine template so download this paper template “IJTSRD Paper Format”. All authors are invited to submit original papers in standard format describing experimental or theoretical research. Author can submit paper with have any maximum number of pages including complete details, reference figures, relevant tables, and references. Submissions will be judged on originality, significance, interest, clarity, relevance and correctness which are review by our Reviewer Team. 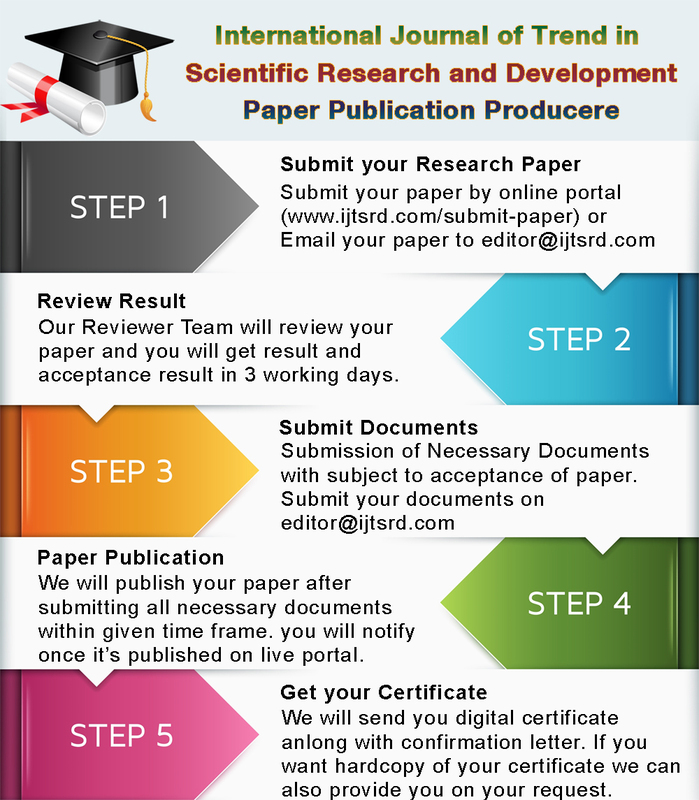 IJTSRD reviewer team will evaluate all submitted research papers by giving rating in predefine areas.